Well, this morning my White Chocolate Candy Cane Fudge had just three ingredients - and you probably thought it couldn't get simpler than that, right?! 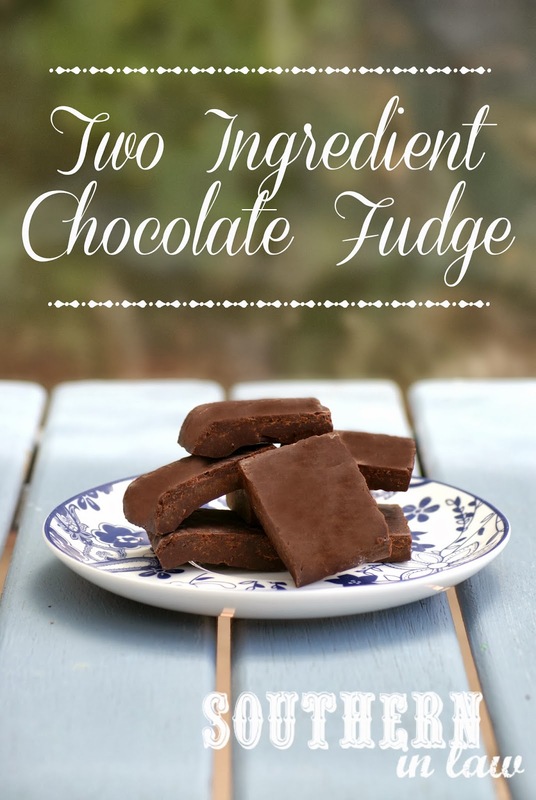 But how about a two ingredient fudge?! 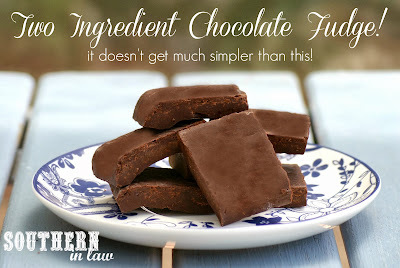 This fudge is stupidly simple and so good! I like it made with dark chocolate as I'm a dark chocolate lover - but you can also make it with milk or white chocolate if you prefer! The only issue I've had with this fudge sometimes is the chocolate. Sometimes I find Lindt dark chocolate seizes really easily (even over a low heat), however, since using Whittaker's Dark Chocolate I've had no problems - just be sure to keep on stirring and don't let your chocolate burn! Again, this isn't a healthy recipe per say, but I'd say it's healthy for your mind! As I said in my Candy Cane Fudge post, Healthy living is all about balance - and that includes eating sweets in moderation! Just try not to eat the whole batch in one go. Optional: nuts/crushed candy canes/mix ins of your choice! If using any mix ins, crush or chop these into small pieces. Line a 8x8" baking pan with baking paper. Take out a medium saucepan and fill with about an inch of water. Heat over a high heat until it just starts to simmer and turn the heat down to low. Add your chocolate and condensed milk to a heatproof mixing bowl and place on top of the saucepan, making sure the water isn't touching the bottom of the bowl. Melt the chocolate over a low heat, stirring continuously and taking straight off the heat once everything is melted and smooth. If using, mix in your mix ins and pour your fudge mixture into the pan. Place into the fridge until set and then slice into pieces. The fudge will keep fresh in the fridge for a couple of weeks and will keep for months if stored in the freezer. If storing this fudge in the freezer, you may find the outside goes a little paler but that's just the chocolate reacting to the cold. *As I said above, I often find Lindt Dark Chocolate seizes really easy so you might want to try something different. If making this for gluten free-ers be sure to check the chocolate doesn't contain or is contaminated by gluten! **If you use dark chocolate, this recipe works fine with skim or regular condensed milk, however, when working with white chocolate and some milk chocolates, you'll get the best results using the regular condensed milk - otherwise you'll have to keep your fudge in the freezer. But let's get thinking: Fudge Mix Ins - what do you think are the best fudge additions? Nuts are definitely a classic addition - but I love Candy Cane Fudge and peanut butter swirls are always a hit!